Miller K., Lang B., Hell E. Local vs. Systemic antibiotics to decrease wound complications following vertical banded gastroplasty: results of a prospective randomized trial. Obestity Surgery (1995) 5: 293-297. Silberhumer G R; Miller K; Kriwanek S; Widhalm K; Pump A; Prager G.
Miller K, Pump A. Hell E. Vertical banded gastroplasty versus adjustable gastric banding: prospective long-term follow-up study.Surg Obes Relat Dis. 2007 Jan-Feb;3(1):84-90. Hahne P, Krempler F, Schaap FG, Soyal SM, Höffinger H, Miller K, Oberkofler H, Strobl W, Patsch W. Determinants of plasma apolipoprotein A-V and APOA5 gene transcripts in humans. J Intern Med. 2008 Jun 3. Felder TK, Soyal SM, Oberkofler H, Hahne P, Auer S, Weiss R, Gadermaier G, Miller K, Krempler F, Esterbauer H, Patsch W. Characterization of novel peroxisome proliferator-activated receptor γ coactivator-1α (PGC-1α) isoform in human liver. J Biol Chem. 2011 Dec 16;286(50):42923-36. Soyal SM, Sandhofer A, Hahne P, Oberkofler H, Felder T, Iglseder B, Miller K, Krempler F, Patsch JR, Paulweber B, Patsch W. Cholesteryl ester transfer protein and hepatic lipase gene polymorphisms: effects on hepatic mRNA levels, plasma lipids and carotid atherosclerosis. Atherosclerosis. 2011 Jun;216(2):374-80. Auer S, Hahne P, Soyal SM, Felder T, Miller K, Paulmichl M, Krempler F, Oberkofler H, Patsch W. Potential role of upstream stimulatory factor 1 gene variant in familial combined hyperlipidemia and related disorders. Arterioscler Thromb Vasc Biol. 2012 Jun;32(6):1535-44. 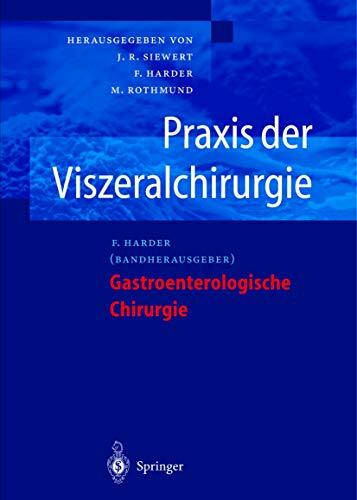 Ardelt-Gattinger E, Meindl M, Mangge H, Neubauer M, Ring-Dimitriou S, Spendlingwimmer J, Thun-Hohenstein L, Weghuber D, Miller K. Beeinflusst bariatrische Chirurgie Sucht und Essstörungen? Does bariatric surgery affect addiction to overeating and eating disorders? Chirurg. 2012 Jun;83(6):561-7. Junger W., Hutter J., Miller K., Moritz E. Significance of Preoperative Colonoscopy in Laparoscopic Cholecystectomy. Endoscopy 1995; 27, 138. K. Miller. Die Magenbandoperation. Indikation und Technik. In Operative Interventionen bei Adipositas. Rudolf A. Weiner (Hrsg.) 2009 Hans Marseille Verlag GmbH München. Miller, K., Weghuber, D., Ardelt-Gattinger, E., Meindl, M., Ring-Dimitriou, S., Moorehead, M. & Oria, H. E. Qualitätssicherungssystem zur Ergebnisbeurteilung interdisziplinärer Interventionen (BAROS). In AD-EVA. Interdisziplinäres Testsystem zur Diagnostik und Evaluation bei Adipositas und anderen durch Ess- und Bewegungsverhalten beeinflussbaren Krankheiten (Modul 1 ) Elisabeth Ardelt-Gattinger Markus Meindl (Hrsg.). 2010, 226-29 by Verlag Hans Huber, Hogrefe AG, Bern. Proceeding of the 20th World Congress of the International Federation for the Surgery of Obesity and Metabolic Disorders, Vienna, Austria. Szego T, Garrido A. (Eds. ), Video Atlas of Obesity Surgery. A Textbook with CD displaying techniques. Novo Disc Brasil 2003. Miller K. Implantable Gastric Stimulation. Miller K. Operation Primer Laparoscopic Gastric Banding, Educational DVD-Rom Series Editors: M. Immenroth, J. Brenner. Hutter J.,Miller K. Laparoscopic Drain Placement: Technical Aspects. Minimmally Invasive Therapy 1993, 2(Suppl I) 103. Miller K.,HutterJ. Laparoscopic vs. Traditional Open Inguinal Hernia Repair. Preliminary Report of a Prospective Study. Minimmaly Invasive Therapy 1993, 2(Suppl I) 31. Hofmann NG, Schöchl H, Brunauer A, Chmelizek F, Miller K, Drekonja TM. Implementation of Active Compression-Decompression CPR in Cases of Out-of-Hospital Cardiac Arrest. A Comparison with Standard CPR in Terms of Clinical Neurologic Outcome. Rescuscitation 1994; 28 (2), 35.